Small 16" Medium 19" Large 22" X-large 25"
This collar is a fixed length and slips directly over your dog's head. It's easy to take the collar off when you want, while still staying secure during your most active adventures. 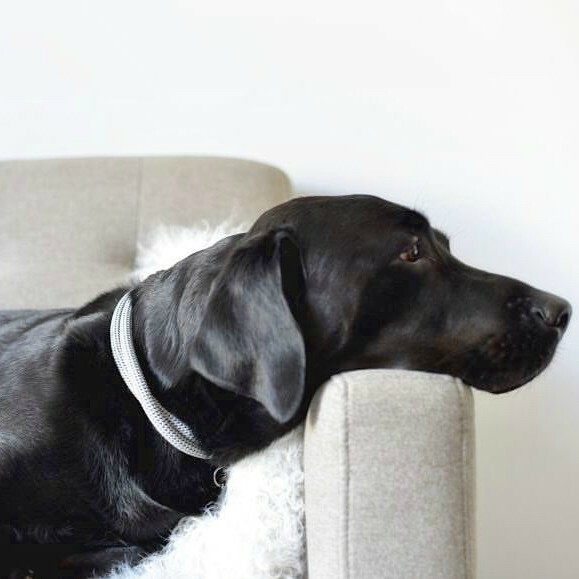 Due to the fixed size of the collar, please measure slightly looser than your standard collar to make sure it fits. 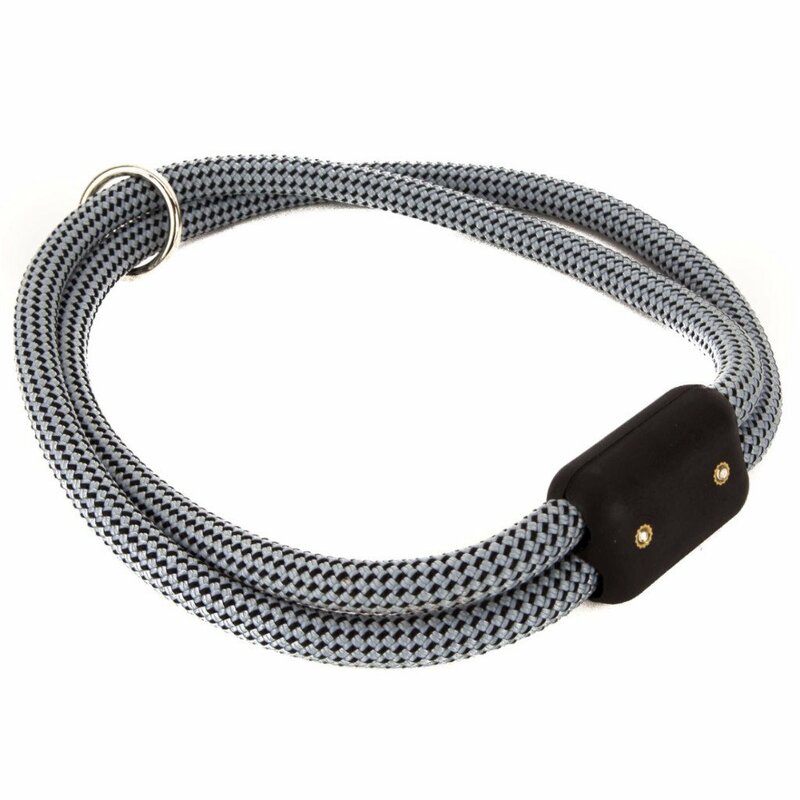 Built with premium-grade climbing rope, the woven structure provides greater resistance to chewing and is specifically engineered for both wet and dry conditions. Additionally, the plastic joints are originally designed for sailing and have a strength of 1000lbs. Built to last, backed by a Lifetime Warranty.